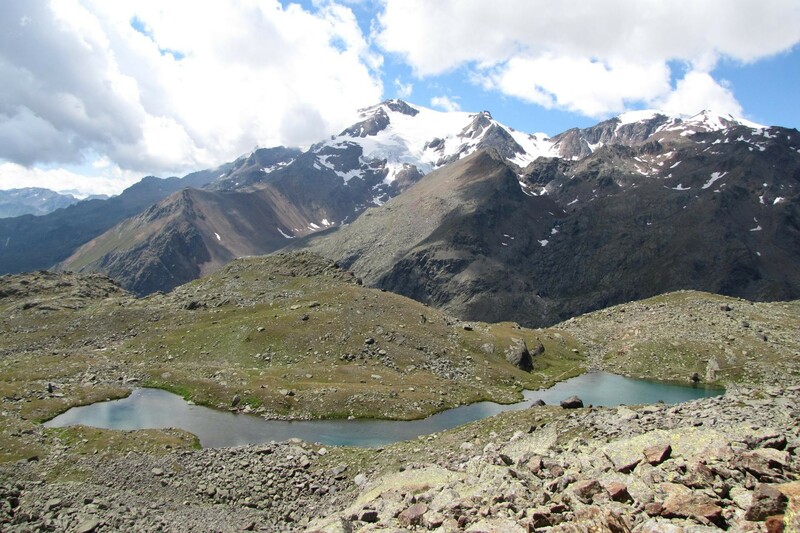 SAT trail n.: 102 up to the Larcher mountain hut, thereafter the trail n. 104 to continue onwards up to Lake Careser trail n. 123 and to the starting location. A particularly interesting itinerary for possible sightings of wildlife in the Park: chamois, marmots, rock ptarmigan, roe deers, deers and the eagle. 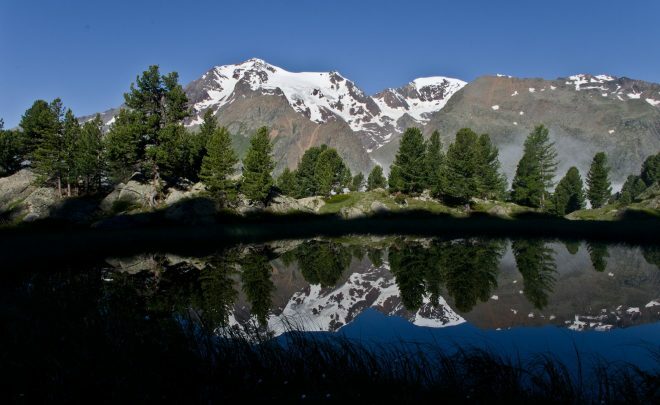 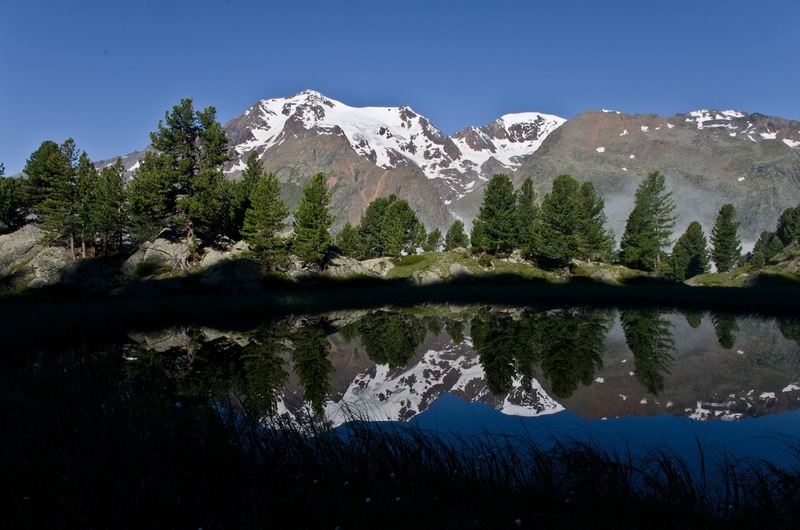 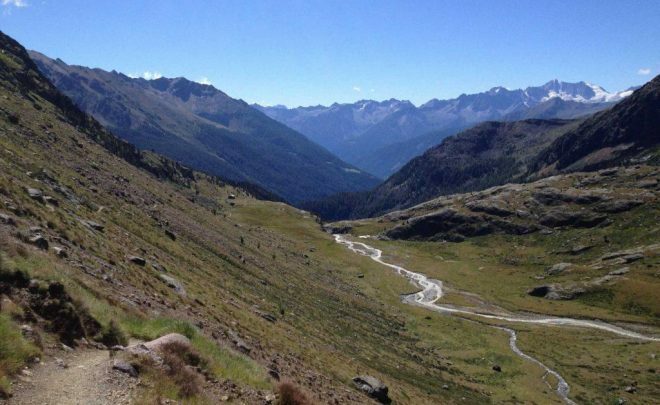 Picturesque landscape characterized by the impressive snow-capped peaks of the Monte Cevedale, Palon de la Mare, Rosole and Vioz and of the stretches of water of the lakes. 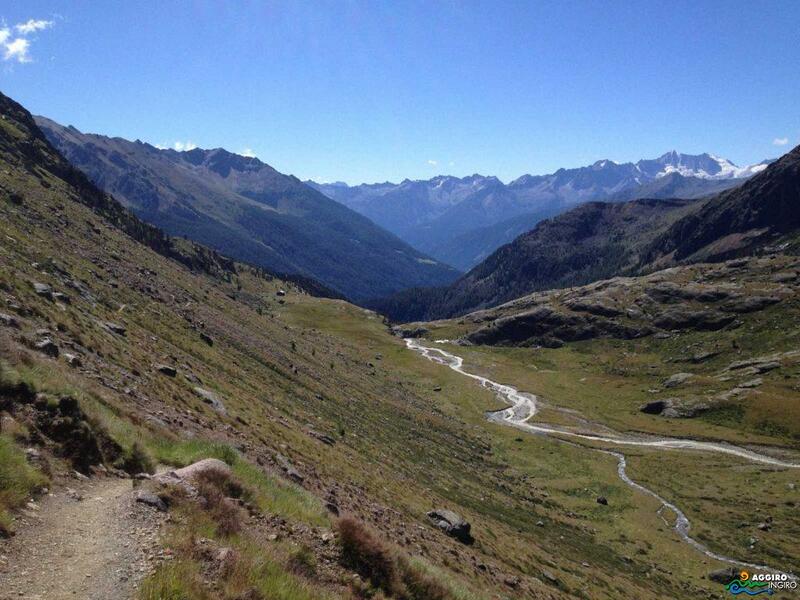 Zone: Ortles Alps; Stelvio National Park. 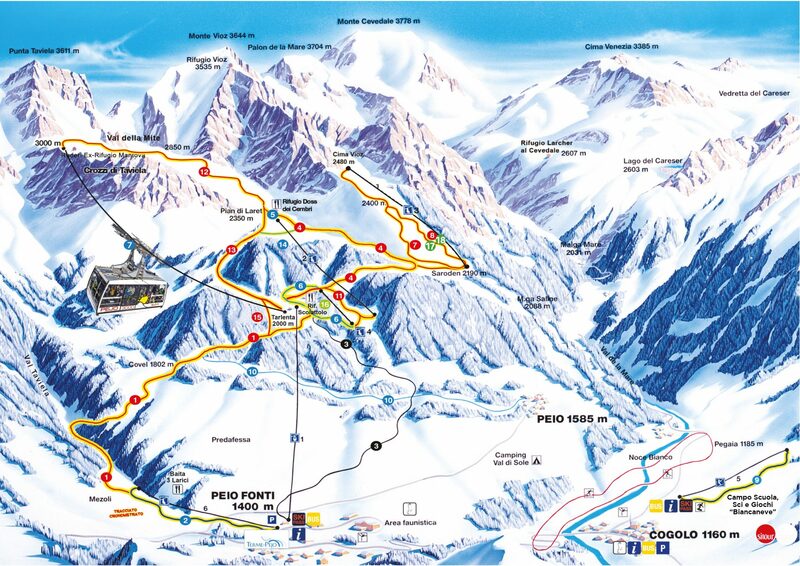 An itinerary that allows you to reach the highest mountain hut of the central and eastern Alps, at the feet of Mount Vioz (3645 m) where you can enjoy a wonderful view on the Forni Glacier.